does not mention children specifically, but… should it? Is the modern desire for children, like our want for other new, shiny things, a result of relentless marketing? The most defensible, obvious answer to both of the questions above is “No”. Biology, instinct, and the innate need to survive and thrive fuel our animalistic drive to procreate. Hormones propel us to copulate and populate, so chow can one lay the blame for overpopulation at the feet of media and advertising? So how do we modern, western humans place a value on having babies and raising families? Well, this is where one might reflect on what we see in commercials or hear from celebrities. What about the endless celebration of babies on movie and TV, starting with Disney movies? Which life events are repeatedly, FOREVER, packed with the most drama, joy and possibility? 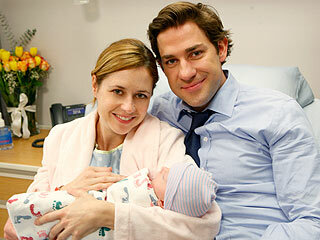 How many babies do you think are born to TV characters every year during sweeps week? More importantly, WHY? Babies are big, big business. Since the value of children can no longer be calculated, corporations are compelled to fill us with fantasies of a perfect life dependent upon, or punctuated by, a perfect child. The messages we constantly hear and see tell us that babies are priceless, and they make us happy. So, am I imagining things, or is this possibly the western worlds most effective marketing scheme? Since babies are priceless, there is no ceiling on the amount of money that can/should be spent on them. If you do not spend every earned and borrowed penny on them, you are depriving them, and probably guilty of bad parenting. Your kids probably won’t succeed because you didn’t buy them every possible toy, tool and opportunity. No one is allowed to openly disagree. Parents, especially celebrities, must constantly and publicly repeat the same vague platitudes like “It’s amazing!” or “It’s all about the baby.” or “It gives my life meaning.” If you have 1 child, their birthday better be the best day of your life. (Meaning that it was all down hill from there?) If you have 2, it better be a tie! Biology does not account for these things, does it? So what does? Marketing? Brilliant marketing? This item is priceless + it is virtually guaranteed by your neighbors and celebrities to make you happy + fear + guilt + insecurity = ?